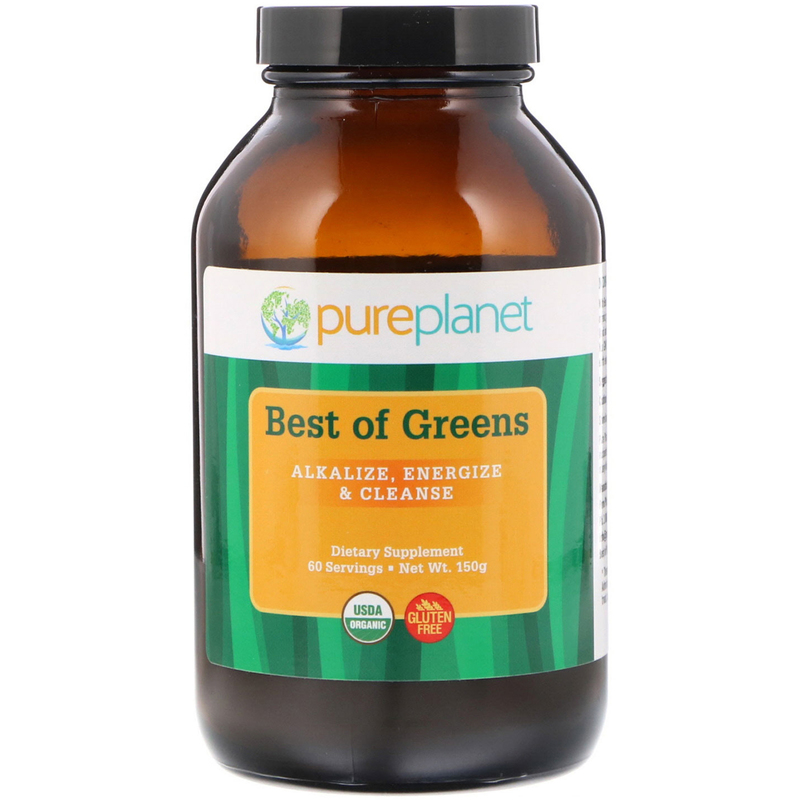 With best of Greens, you can alkalize, energize, and cleanse your cells with the powder of 14 organic green superfoods in every glass! Great tasting and loaded with the Phyto & Phyco (land and sea) nutrients you need. Pure Planet's synergistic combination of Organic and Non GMO grasses, algae, vegetables and sea plants may be the most balanced source of earth elements known to man. Feel the organic dynamic with Pure Planet Best of Greens. Take one scoop mixed with 8-12 oz. of juice or water once or twice daily. 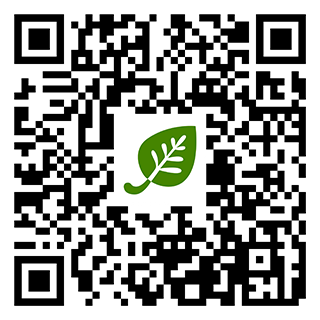 Pure Planet Products are Pure, Non-GMO and 100% natural. We use no binders, fillers, excipients or flow agents. 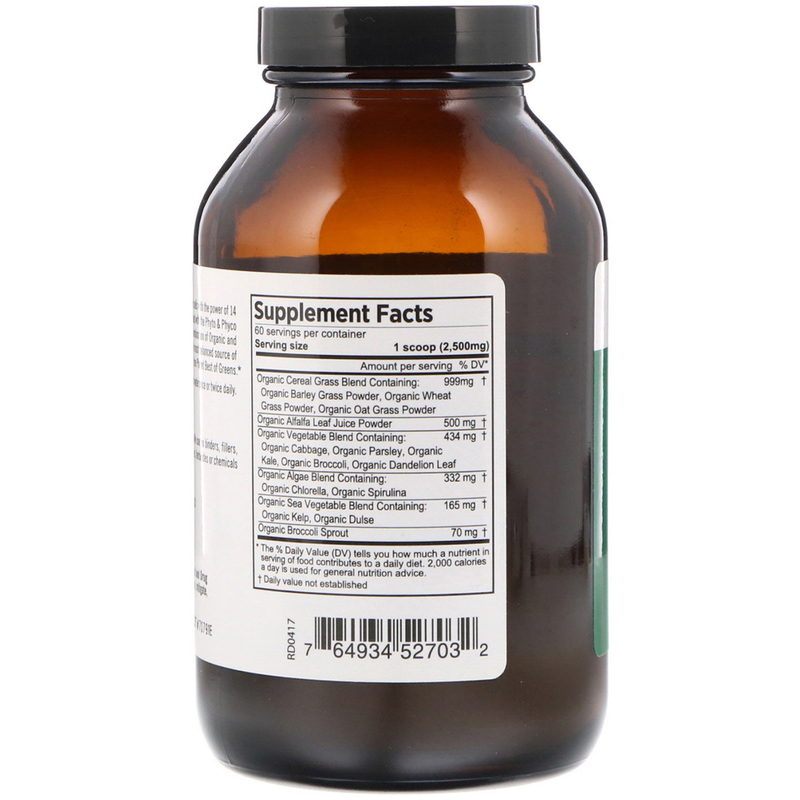 Our products never contain pesticides, herbicides, or chemicals of any kind.